I have not had much to report recently, been busy with family and house things. Still waiting for the Ultrabeam UB20-Mx, but it should be here soon. 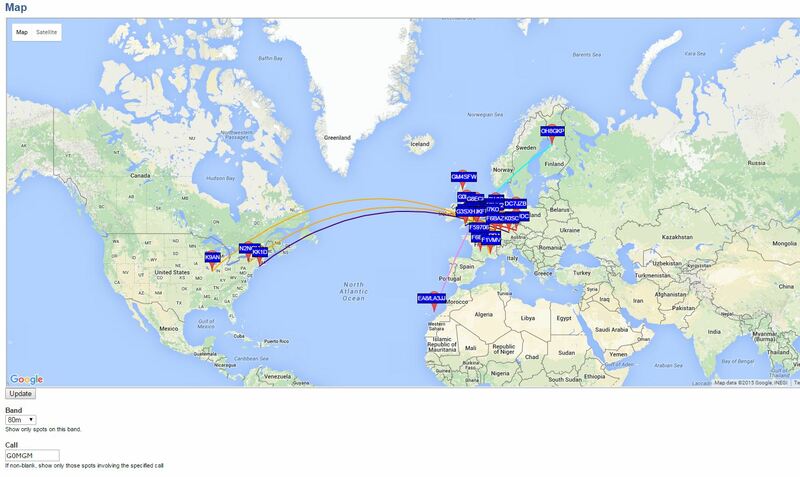 So I thought I would try some WSPR on 80m with the Ultimate3, its running just under 200mW in to the HF6V vertical so I left it running overnight to see where I could be heard. Now I know that K9AN is doing most of the work at his fantastic station but Im still impressed with 200mW.